Xcaret PLUS entrance tickets includes transportation, all the animal exhibits, life jacket for the Underground River and the famous Night Show. It also includes buffet lunch, snorkel gear, towels & lockers. 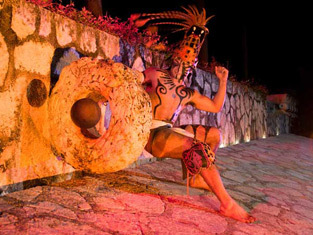 Xcaret is the #1 recommended tour for families and kids of all ages. Note: there is a $25 deposit for snorkel gear at Xcaret. PLUS Xcaret ticket includes lunch, snorkel gear, towels and lockers.